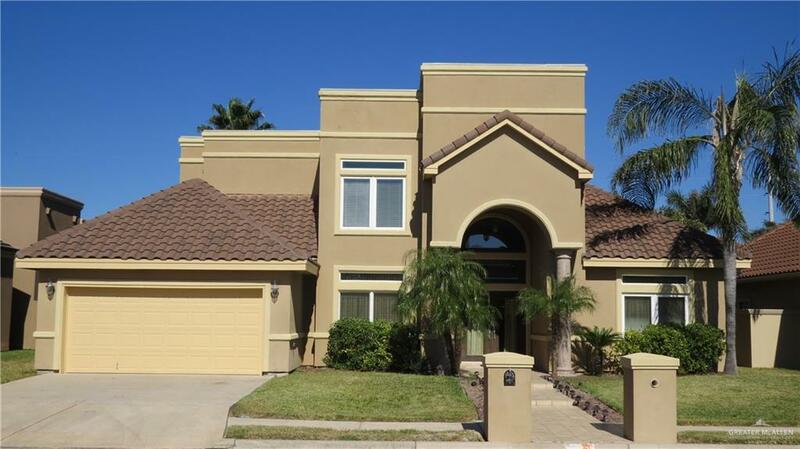 This wonderful 4 bedroom, 2 story stucco home has it all.....including a sparkling pool for those hot summer days!! 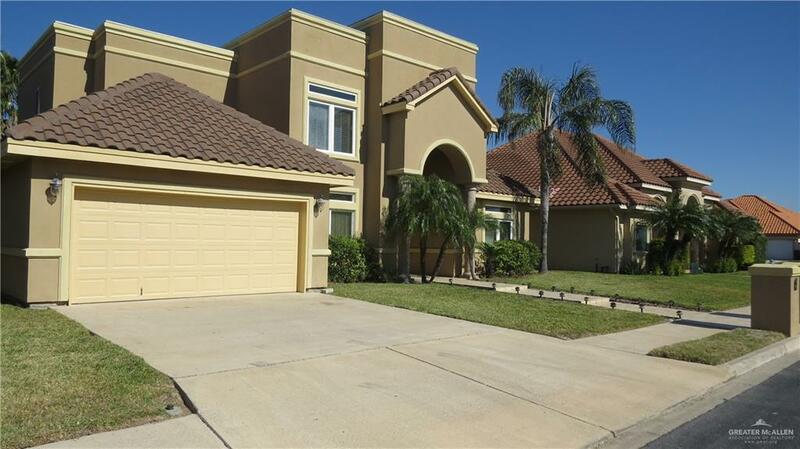 Located in desirable NE McAllen close to 2nd street walking trail and a stone's throw to SW Edinburg. This custom detailed beauty will have you at "entrance" with with big windows overlooking the backyard. So many custom touches such as high ceilings, crown molding, granite counters, wrought iron stairwell with granite steps, porcelain/granite/hardwood flooring throughout, large closets that automatically light when opened and french doors leading to backyard from the huge wet bar & 1/2 bath. Master bedroom downstairs with 3 bedrooms, sitting area and large Jack n Jill bath upstairs. Air conditioner units (both in & out) replaced in October 2018. 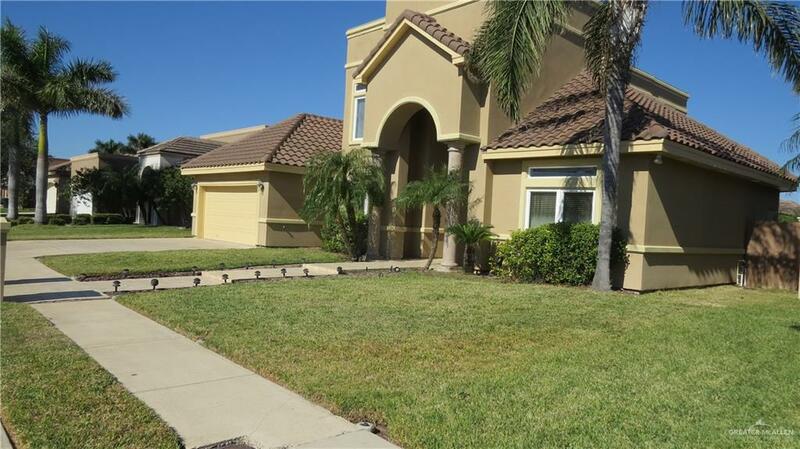 Look no further.....this home in a quiet area is calling YOU!